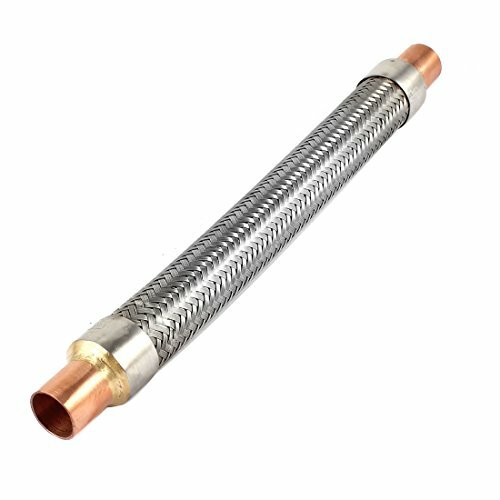 25cm 10″ Long Air Conditioner Vibration Absorber Hose Tube 5/8″ 16mm , selling for brand new. Manufactured by uxcell. Vibration Absorber are designed to install in the suction and discharge lines of air conditioning and other refrigeration systems to reduce vibration in the transmission of compressor-induced vibration through system piping. Vibration are produced by deep pitch corrugated rubbing for increasing flexibility and vibration absorption, covered by high tensile wire braid for superior strength . 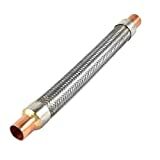 The tubing and braid are reinforced by ferrules at each end, and connected to a female copper tube end by high temperature of brazed alloys.